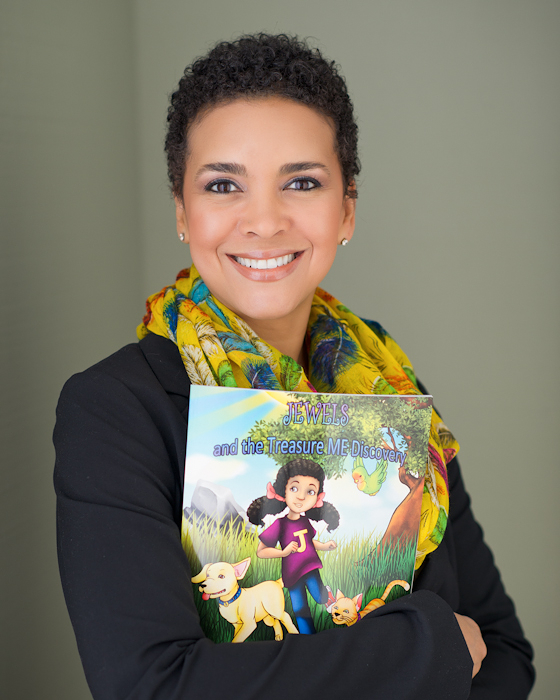 Spirit Corley’s, first self-published multi-ethnic children’s easy reader picture book, Jewels and the Treasure ME Discovery takes kids on an adventure of self-discovery and self-love through joy, empowerment, wonder, esteem, and shine ignited by vivid storytelling and imagery. Spirit poses by day as Youth Workforce Investment Act state auditor, yet she is also an artist and advocate for children, with over 13 years case managing youth with barriers, and a Master’s degree in Organizational Leadership. It is Spirit’s true passion and purpose to work to empower all children; especially those who may be disenfranchised at no fault of their own; she stands for them. Spirit’s endeavors are simply beginning with her new book, Jewels and the Treasure ME Discovery to reach out and do her part in her community. More books and tools of empowerment that mirror multi-ethnic children will continue to unfold, as well as the I AM ME Discovery project and “Read with Spirit” which will allow for more collaboration and joining hands in common unity in the community she serves. Spirit: I wrote my first easy-reader children’s storybook two years ago, and then I decided to publish it a year later. It was my way of honoring my inner child, as well as to empower kids through positive imagery and messaging. Spirit To date, I’ve self-published one children’s book, Jewels and the Treasure ME Discovery, and currently working on the next children’s book. Easy-reader children’s book genre evoke such imagination, it is the genre I’m most fond of because I reminds me of my son and I reading together at night and the joy it brought us both. Such wonderful memories! Spirit: I’m currently marketing my book through social media. I keep my messaging personal by writing short messages etc. on Twitter, Facebook, Instagram, LinkedIn, and Pinterest. Spirit: I wish I would have had Jill’s blog during the self-publishing process, but most of what I discovered was through just research, and sometimes trial and error. www.selfpublishing.com, and ww.write4kids.com I found to be resourceful as well for new authors like myself. Spirit: My greatest challenges are time, being just one person, and resources. What I’ve learned is to remember why I’ve chosen to write in the first place, for the joy of making a difference, however small. Spirit: Don’t make the assumption that after publishing your first book, the ROI (Return of Investment) is automatic. Secondly, don’t take things personally because once the book is written and published, you gotta get down to the business of marketing it. Moreover, be fearless in your approach to reach out for others support, and “think outside of the box,” for better results. Lastly, just do your best and keep believing in yourself and your work. I always aspire to be inspired, and making a difference in my community infuses that spark. Thanks for taking a break and reading about one of our authors. If you would like to be included in the series, please contact me at jill@mirabooksmart.com. Some of my next blogs will be about getting your book into the library system and marketing your book through Amazon. Click the follow button to be notified as soon as these are posted. And in case I don’t see ya… good afternoon, good evening and good night. Reblogged this on Women of wisdom A personal journey.